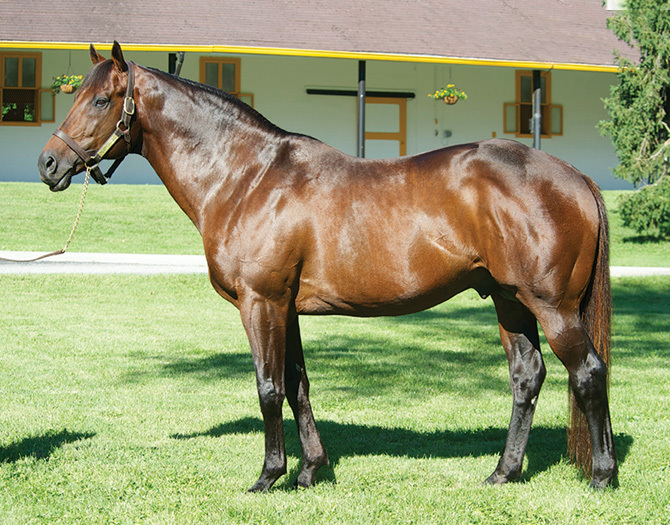 Sire of 52 stakes winners and 6 millionaires, incl. 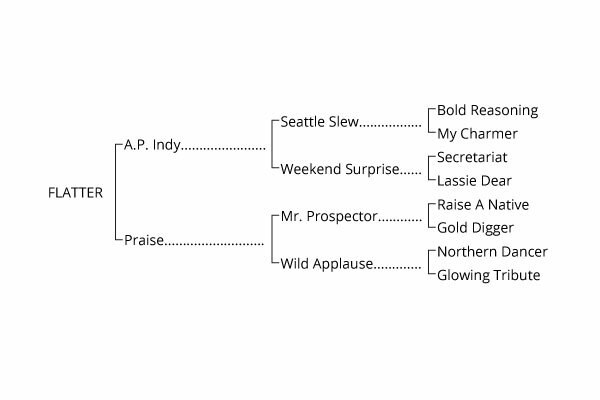 G1Ws WEST COAST (Champion 3YO Male), FLAT OUT, TARIS, etc. 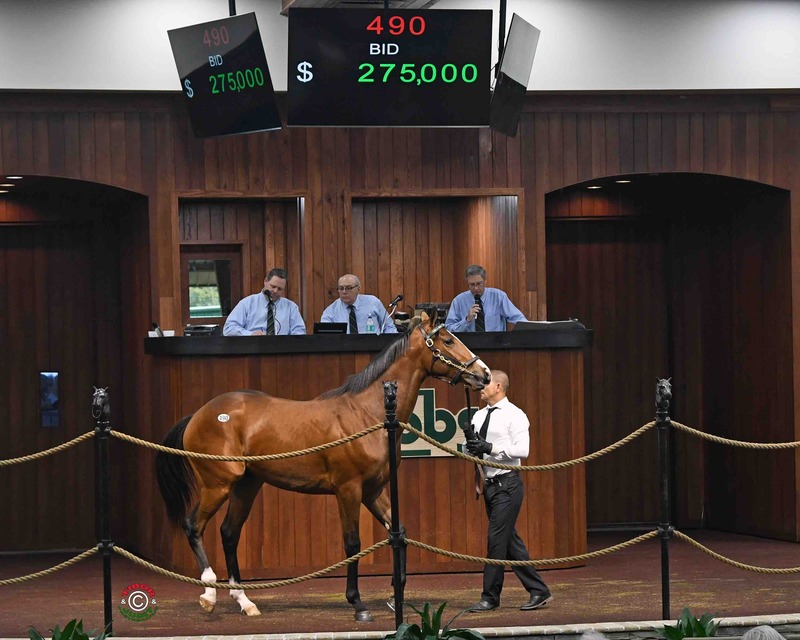 2019 2YOs sold for $350K, $250K, $240K, $175K, etc. TYFOSHA – 3rd Kalookan Queen S.
SOWER – 2nd Interborough S.
CASINO STAR – 2nd Fifth Season S.
FASHION FAUX PAS – 2nd Mizdirection S.
AVIE’S FLATTER – 1st Coronation Futurity, 1st Cup and Saucer S.
SOWER – 1st Pumpkin Pie S., 1st Jersey Girl S., 3rd Victory Ride S. -G3, 3rd Charles Town Oaks – G3, 3rd Garland of Roses S.
LA FUERZA – 1st Notebook S., 1st Rockville Centre S., 1st Aspirant S., 3rd New York Breeders’ Futurity, 3rd Damon Runyon S.
RING OF KERRY – 1st British Columbia Cup Nursery S.
BABY NINA – 1st Miss Ohio S.
FASHION FAUX PAS 1st Sandpiper S.
STIFLING – 1st My Dear S.
FLAT OUT $3,645,383, Jockey Club Gold Cup-G1 (2x), Cigar Mile H-G1, etc. 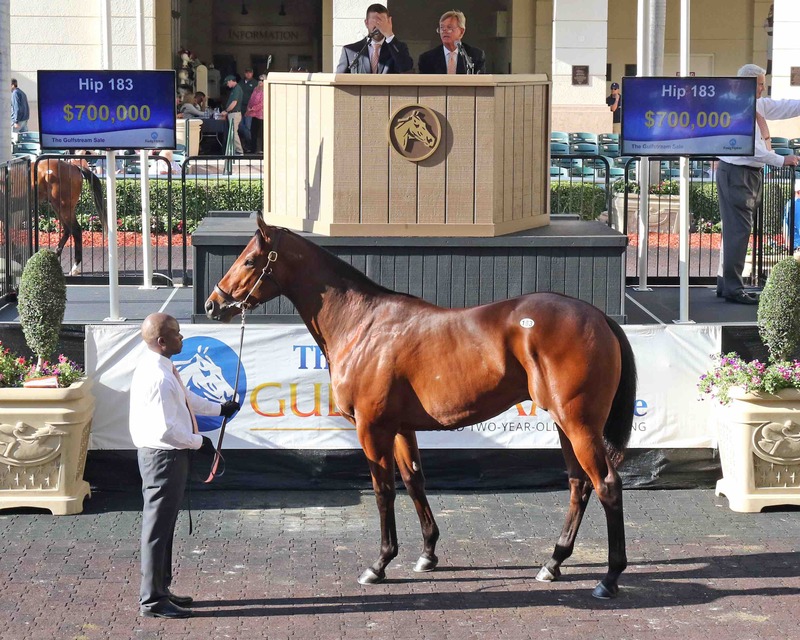 UPSTART $1,732,780, Holy Bull S-G2, Razorback S.-G3, Funny Cide S., 2nd Champagne S.-G1, Fountain of Youth S.-G2, Florida Derby-G1, 3rd Breeders’ Cup Juvenile-G1, Haskell-G1, Whitney-G1, etc. TAR HEEL MOM $832,892, Distaff H-G2, Honorable Miss H-G2, Sugar Swirl S-G3, etc. APART $735,360, Super Derby-G2, Ack Ack H-G3, etc. CLASSIC POINT $685,794, Go For Wand S.-G3, Punkin Pie S, etc. ECONOMIC MODEL $614,625, Hal;s Hope S.-G3, Easy Goer S., 2nd King’s Bishop S.-G1, Swale S.-G2, Dwyer S.-G3, 3rd Bold Ruler H.-G3, etc. Avie’s Flatter (Flatter) Scores Victory in G3 Transylvania S.